When summer is in full swing, many people turn to water activities in order to beat the heat. While a refreshing dip provides relief from blistering temperatures, getting water in your ears can be both annoying and hazardous to your hearing. By taking precautions and wearing swim plugs before entering the swimming pool, the lake or the ocean, you can keep water out of your ears. Swim plugs are highly recommended for individuals with chronic ear infections, individuals with tympanostomy (PE/pressure equalizing) tubes and individuals with other ear-related health concerns. However, anyone can benefit from wearing swim plugs. Custom swim plugs are made of waterproof silicone, customized from your ear impressions, and they create a tight seal preventing water from entering the ear canals. 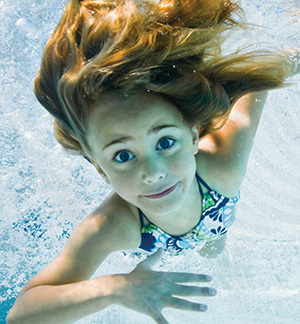 Whether you are concerned about ear infections or simply dislike the sensation of water in your ears, swim plugs are a quick and easy solution. Our audiologists can help you select a pair of swim plugs, from an assortment of colors, just right for you.